Last year, Ben Wellington from data analysis blog I Quant NY found the perfect amount to add to your MetroCard so you can get an exact number of rides and you’re never missing a train because you’re a few cents short. Now with the new fare increase, the new perfect balances are $ 22.30 or $ 27.25, and there’s even a quick-buy button. The old perfect amounts to add to your MetroCard were $ 11.90 for exactly five rides, $ 19.05 for exactly eight rides, and $ 30.95 for exactly 13 rides. Why those numbers? The whole system is confusing because you get bonus amounts added to your card depending on how much you pay, and the system was designed to be cash and change friendly. 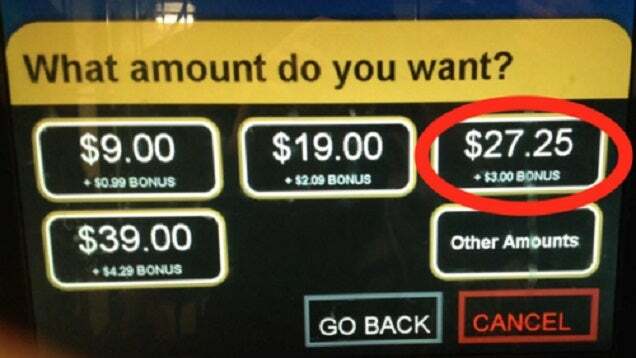 According to Wellington, the only perfect amounts you can choose now with the Other Amounts button is $ 22.30 for exactly nine rides and $ 27.25 for exactly 11 rides. Everything else will leave you with a practically useless remainder on your card. Fortunately, the MTA has added a button to the main purchase screen that offers the perfect $ 27.25 option, as well as created a MetroCard Calculator if you want to check your math. Whether you live in NYC or just plan on visiting, this information can keep you from missing your train and wasting time. You can learn more about Wellington’s analysis at the link below.